Those who have followed the blog will know I’ve been travelling fairly fast. In fact, during the first half of 2016 where I roamed the countries of SEA (South East Asia), the longest I stayed in one place was 5 nights. You could say I had a restlessness in me – or in more colourful terms: I was footloose and fancy free, free as air. I was living off savings from my last 4 years of employment where I’d been droning away with a 9-5 job. Alright, to be fair the job was a good one and had a lot of perks and although I thoroughly enjoyed my time I had realized that 9-5 just wasn’t for me at this point in time. Money aren’t unlimited. This time I’m part time working to finance it (doing mobile app development with a dash of blogging). I have a girlfriend, My, who I met 6 months ago. So it’s now no longer solo travelling. I’ve seen enough temples and museums. These three above reasons are why I’m now trying a different type of travel. This time we’ll get a place for a longer period of time. We’ll pay a monthly rate and we’ll get to know our neighbours and the area. We’ll get into a routine, we’ll cook. This way it’s cheaper and much more relaxing. The downside, of course, is that we only get to see one place and if we’re unlucky that place isn’t very good and we’re stuck for a while. 6 days in since we arrived and I’m as happy as a monkey with a banana (there are monkeys with bananas just outside my window and they look happy). 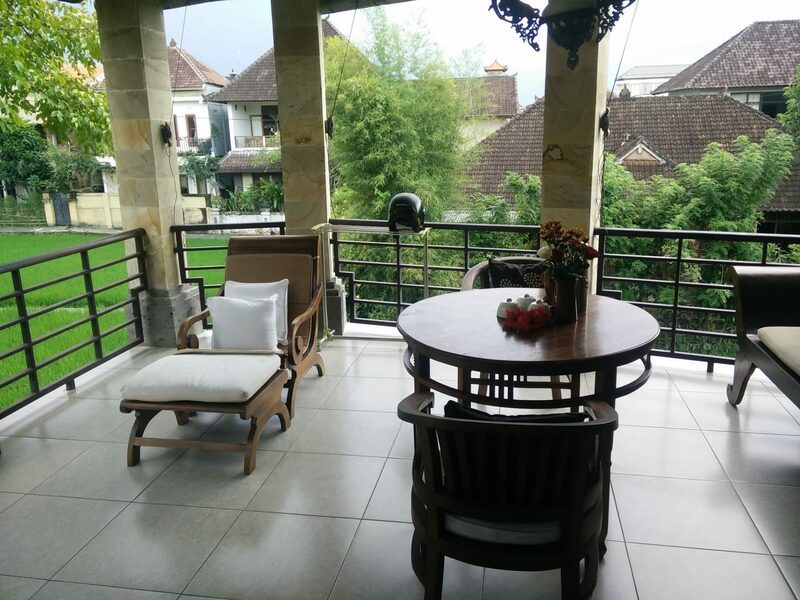 We’ve found a nice place in the centre of Ubud, Bali with a bedroom, bathroom, terrace and a kitchen (pictures at the bottom of this post). 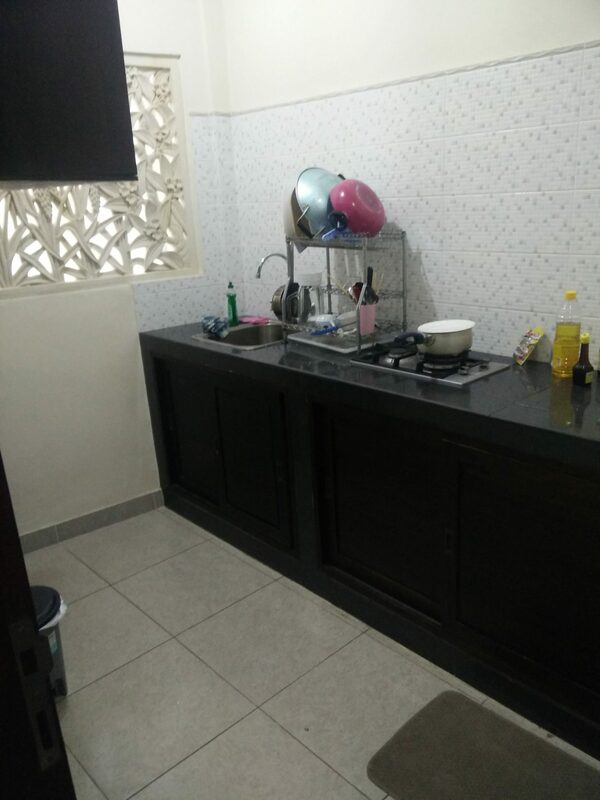 Anyone travelling who’s been travelling longer term probably agrees that a kitchen and a fridge is particularly joy-inducing. 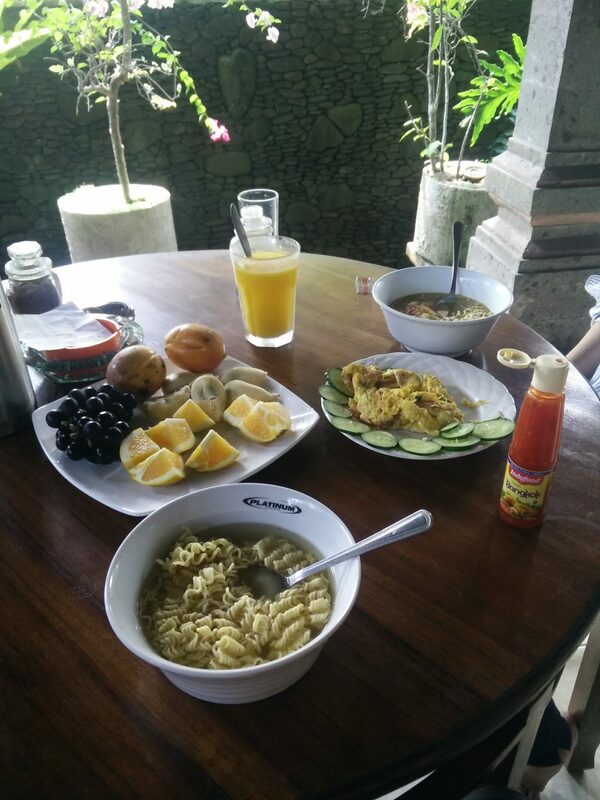 The landlady is the sweetest old Indonesian lady. She lends us a rice-cooker and takes My to the local market to get fresh goods at “Bali prices” vs tourist prices just to name a few of the things she does. 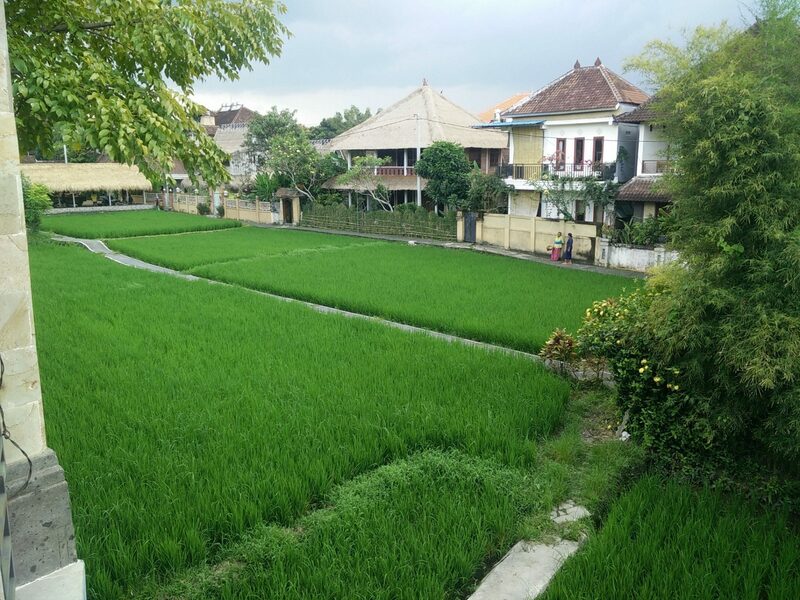 I’ve rented some co-working space at a fairly famous place called Hubud (short for: Hub-In-Ubud). A co-working space is a place where small teams and individuals can rent some office space so they can work. Typically, it sports a good internet connection, a pleasant work environment and a coffee machine (oh dear Lord, don’t forget the coffee machine). This one is filled to the brim with creative, entrepreneurial, location independent amazing people and besides giving me a place to work it’s outstanding for networking. Lastly, and importantly we’ve rented a scooter. Although I live in walking distance from Hubud a scooter is needed for everything else – and at $46 for a whole month (including repair and service) why would you not do it? There is no public transportation at all and the only other ways of getting around is by taxi or walking. Well, that’s the initial setup. I’ll get back to ya’ll a while in to let you know how I feel further down the road! Ren Luxus, ser det ud til. God idé med at slå sig ned. Måske er en måned for lidt til at “komme ind under huden” på et sted.